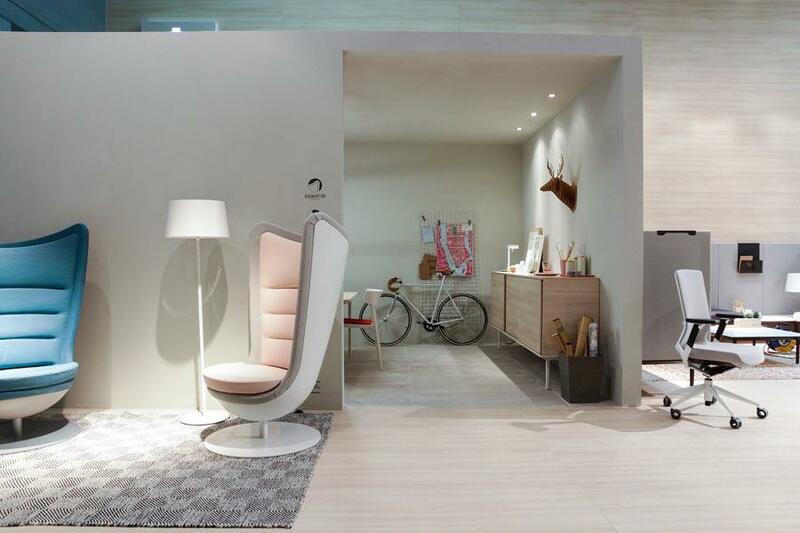 If one word can define the Salone Ufficio Fair held in Milan from 14th to 19th April, is Design (yes, with a capital letter). The art of creating, innovating and surprising people as much as possible. Over 20,000 square feet dedicated to office furniture and accessories determined to provide guidelines for action in worldwide workspaces over the next two years. 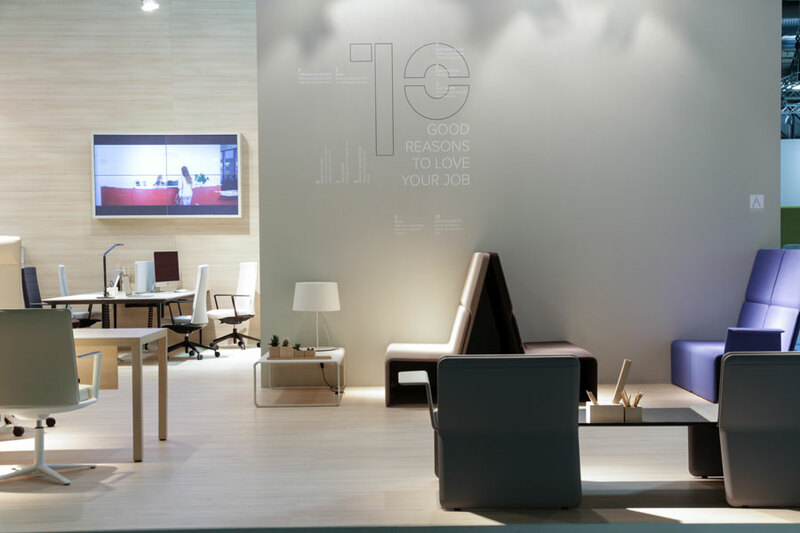 Actiu have presented themselves, for the first time, in front of more than 300,000 professionals from 160 different countries who have visited the fair in the "UFFICIO" Hall with a stand that has managed to convey the key points of which are proposed as new environments to work: people-centered spaces and their welfare, flexible, attractive and warm environments which achieve a perfect fusion between home and work and enhance creativity and performance. 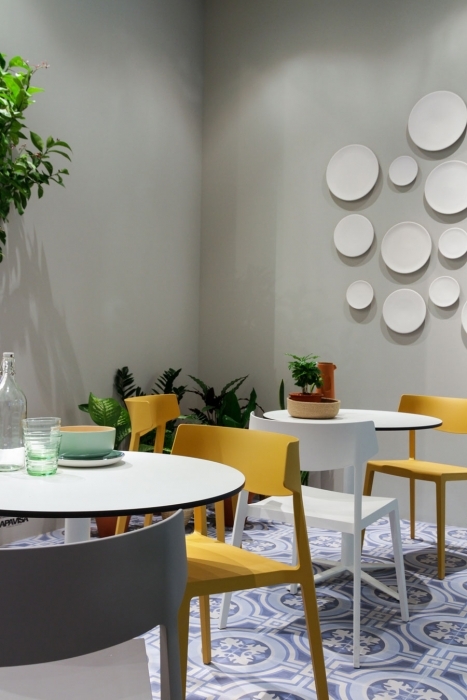 Through three environments, CREATE - TALK and RETHINK we try and recreate the most private spaces within an open space setting, with the aim of achieving a balance between openness and privacy which is so necessary in daily work and collective spaces. 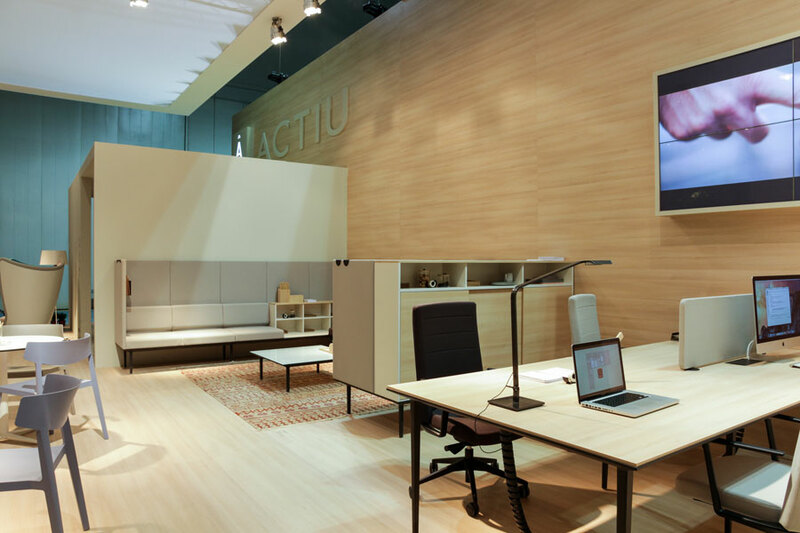 Actiu has distributed the different proposed environments, breaking the limits of office environment uses. 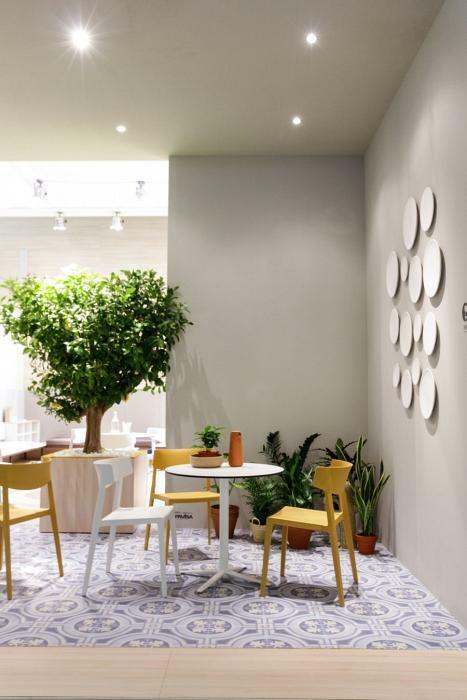 The stand, created by the design studio Odosdesign and carried out by Cosin Studio draws scenes that visitors participate in making, stimulating inspiration, imagination and movement, inviting one to live and feel every space. 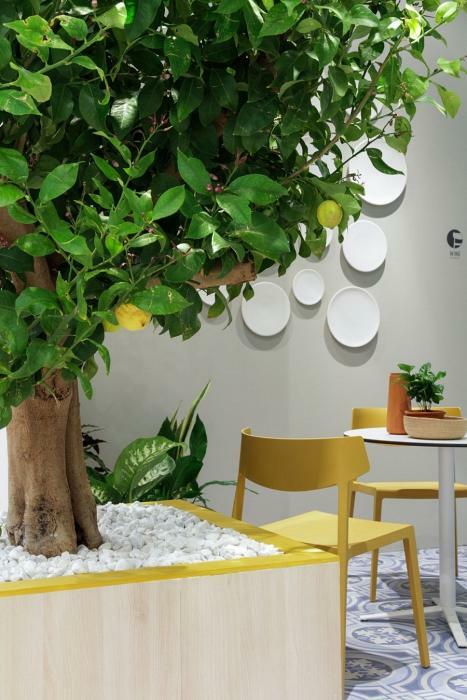 TALK is a nod to Spanish culture; an Andalusian patio with a lemon tree that symbolizes freshness, health, contact with nature and emphasizes the importance of outdoor spaces where one can find fresh air, breathe, relax or organize informal meetings. 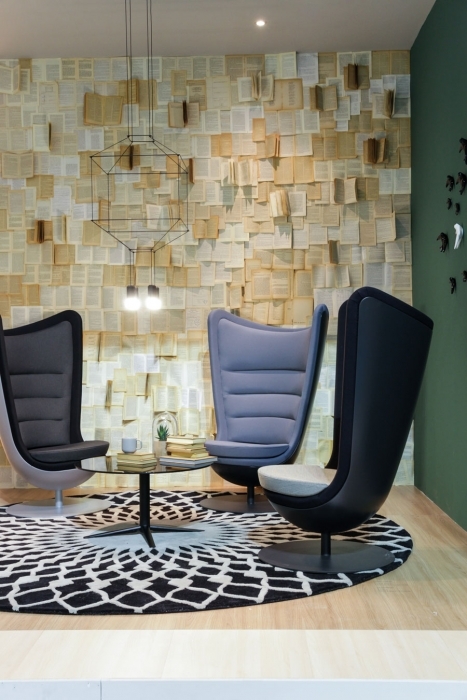 RETHINK, one of the most photographed places, formed by three Badminton armchairs, housed in a space designed for intimate moments, recollection and in where one of the walls was literally plastered with pages from books that tell countless interesting stories. 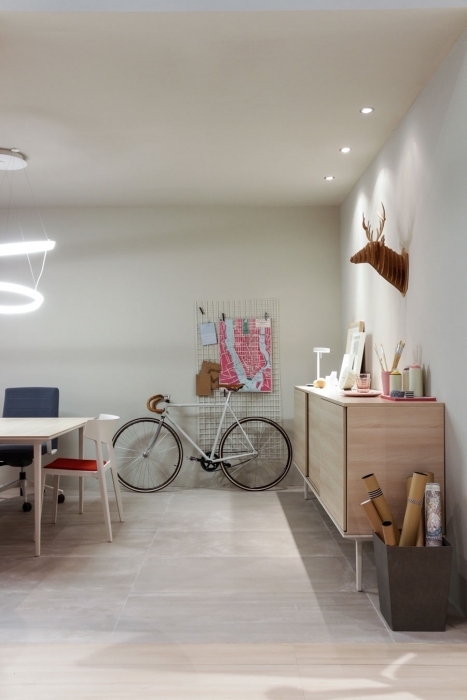 CREATE has been designed with a coworking office use, designed for a profile of young and dynamic entrepreneurs. People who value diversity, creativity and mobility within the workplace. 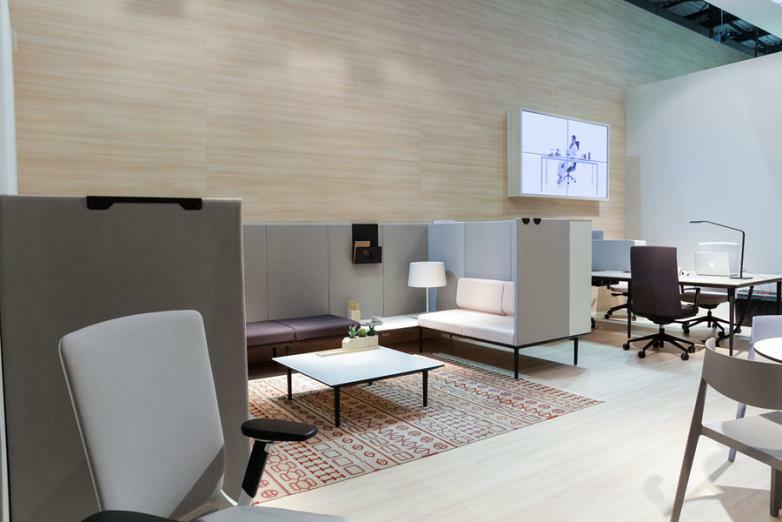 The rest of the space, with Open space philosophy has been designed for a more collaborative use, where communication and collaboration are the main basis, and the storyline that connects with Actiu products presented for the occasion. 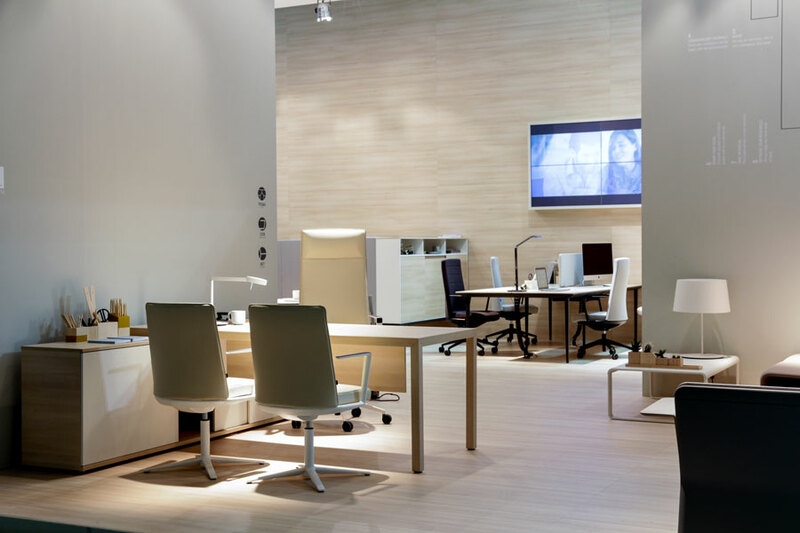 Longo, the versatile program that allows hundreds of possible configurations thanks to its modular format. 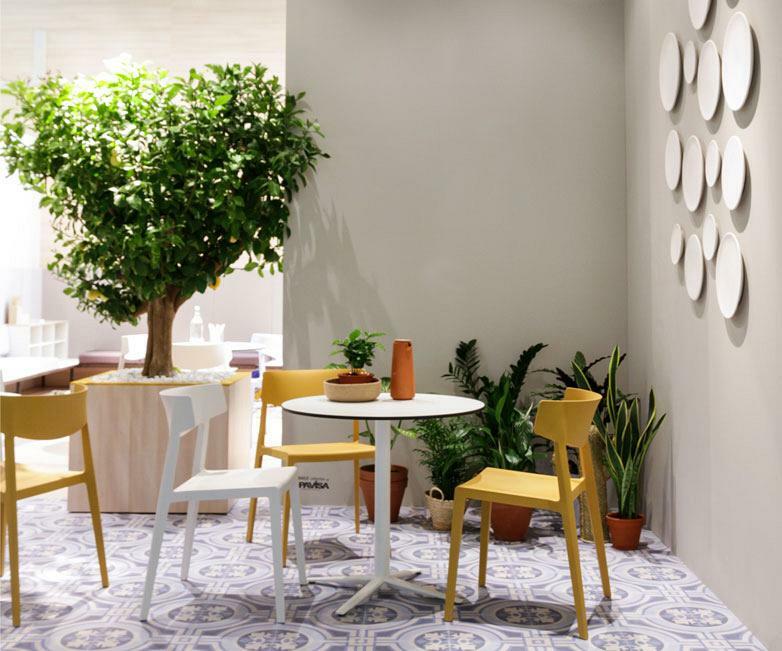 Chairs that blend with office desks, shelves, files, side tables or planters; it only depends on the ability of imagination. 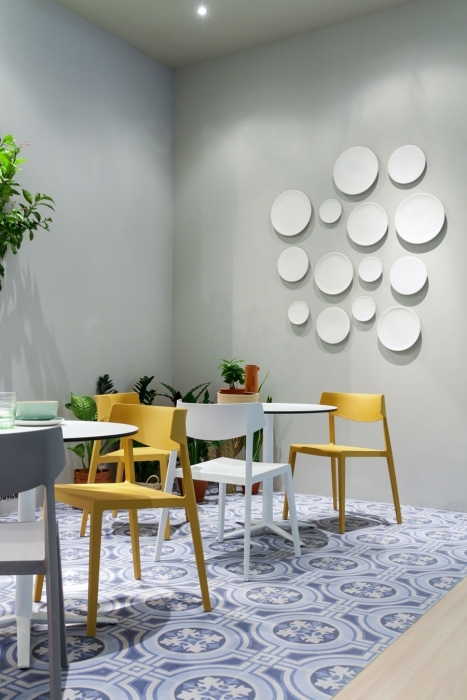 Shey, nominated for the i-NOVO Awards for the application of technology in its design, is a modular seating program based on an intelligent system that combines different sheets in the form of superimposed layers allowing linear growth in benches and extension. Badminton, also selected for the i-NOVO Awards in the category of Design, represents the great commitment embodied towards sophistication and surround sound-absorbed seats, with an attractive and innovative image. 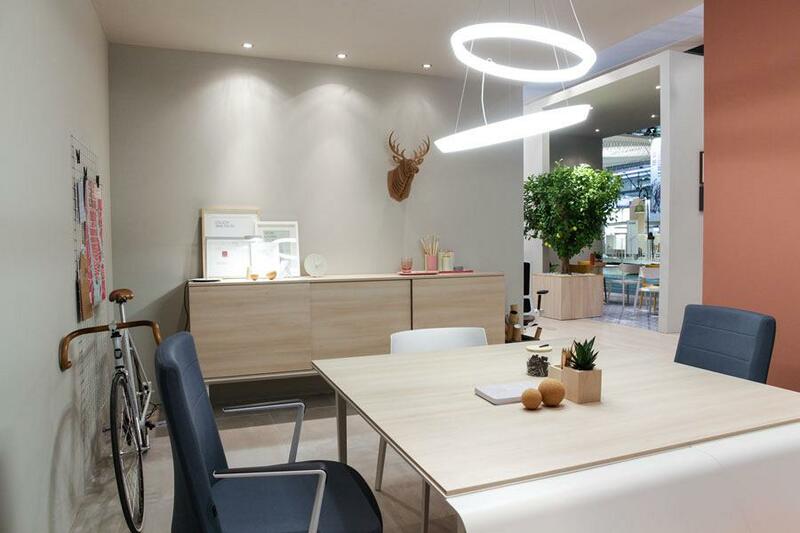 Wing is still one of the most recognized products in the design sector this 2015. 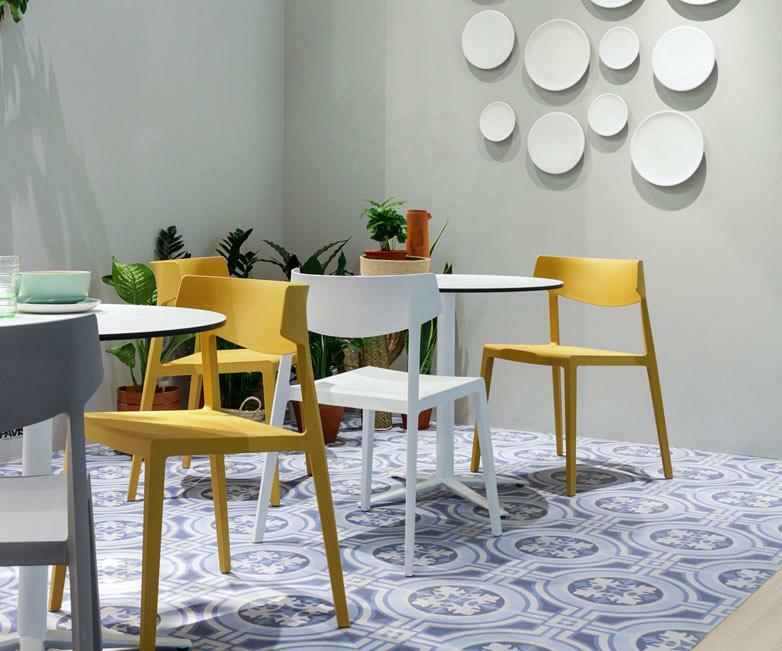 Winner of the IF Design Award and Red Dot Award, it is the natural technological evolution of the traditional wooden chair, adapted for a more efficient production process and some highly innovative technical advances. The Prisma desk provides the warmth of wood and hides under a deceptively simple design, a great complexity in its structure. We have accompanied it with the directional Cron chair and now it represents a classic for Actiu, the operational TNK 500 chair. 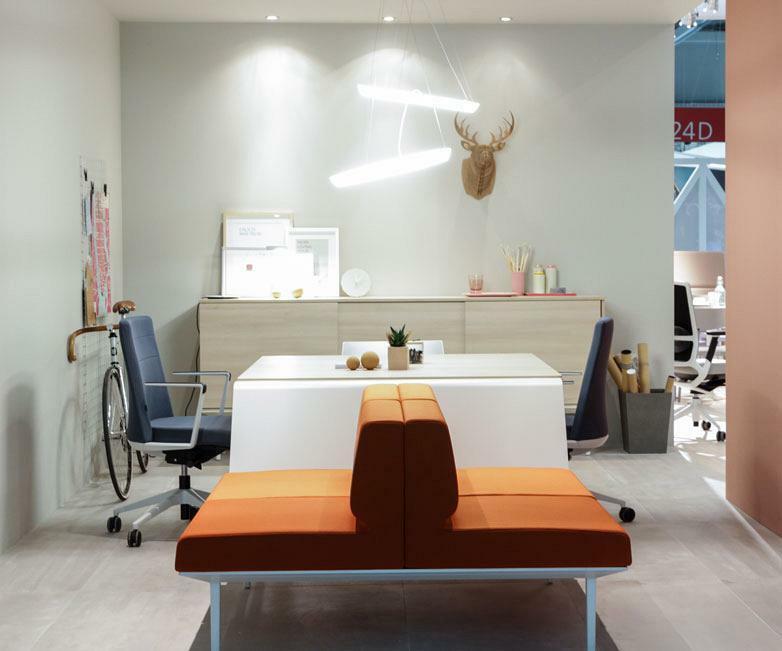 The professionals who visited the stand have opinions which have been similar in that the need to avert the office which until recently was perceived as cold, impersonal and dull spots. A criteria shared by Actiu wanted, through its proposals, to challenge the architects, interior designers and designers to get under the skin of the user, the people who live there, their needs and their feelings. Using the motto "Work Loving Yourself" we have sought to convey the warmth, comfort and well-being through furniture, upholstered in pastel colours, lighting and countless small and accurate details.